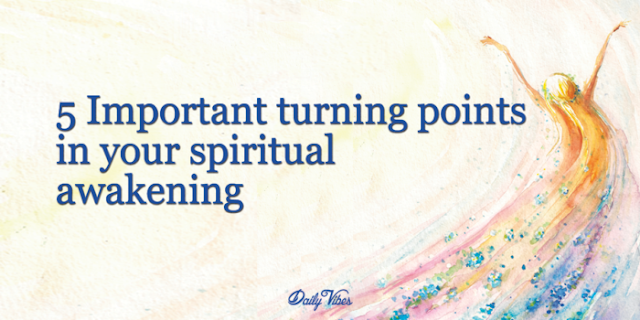 Turning points are what cause a Spiritual Awakening to begin. Although you can have many different experiences, each individual experience begins to lead your life in a different direction. Spiritual Awakening is mostly a sign that you are maturing as a human and seeking to be more peaceful in your way of dealing with yourself and with others. It’s important to keep in mind that a Spiritual Awakening in no way indicates that you are more special, superior or anything that places you above others. It is, in fact, the complete opposite. A Spiritual Awakening brings about authenticity and humility. If you have experienced, or are currently experiencing, any of the turning points listed below then chances are you are experiencing a Spiritual Awakening in your life. Physical Turning Points (PTP) can come after a traumatic experience that permanently changes the course of one’s life. An example of a PTP can be having a devastating car accident or illness that leaves a person crippled, broken, or just psychologically scarred. This type of turning point is potentially the most drastic. It highlights the importance of seeking spiritual change peacefully and consciously. Mental Turning Points (MTP) can also be called Psychological Turning Points. These type of turning points come after one has made a sub-conscious breakthrough in their understanding of themselves and the world around them. They can be brought on by letting go of past experiences and difficulties. The MTP is usually a more gentle way of approaching Spiritual Enlightenment but is often a slower process. A Financial Turning Point (FTP) has to do with the direction one’s life is going financially. It doesn’t matter if someone’s overall wealth is increasing or decreasing, a FTP can happen either way. There have been people experience a turning point at the peak of their financial success and people experience a turning point at the lowest point in their life. But the overriding factor is a desire to change. An example of a Financial Turning Point is when a very wealthy man realizes that what he has means nothing to him. So, he leaves everything and sets off on a spiritual journey. 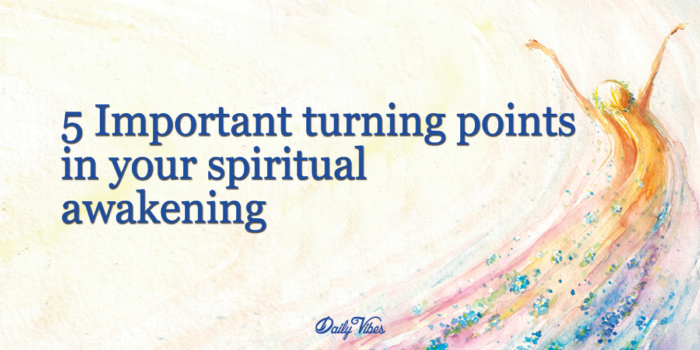 Emotional Turning Points (ETP) are the generalized “Turning Point” because most Spiritual Awakenings are not a single event but a combination of events that lead people to Spiritual Awakening. All Spiritual Awakenings are, in effect, Emotional Turning Points because it is the human emotions that connect individuals to all things. It is the ability of emotion that brings awareness of ourselves and of others. The Reflective Turning Point (RTP) can come about in a few different ways: physical distance, emotional distance and the passing of time. All three reflection criteria have value, but perhaps time is the most significant one, because with a gap of time one can more clearly analyze things because their mind has had the opportunity to deal with it sub-consciously. Physical distance is also important because it offers the physical distance required to see the bigger picture. If you never leave home, you will have nothing to compare it to. So you must leave your childhood home for a time and then come back to it, or move on to some place different to continue your journey of Spiritual Awakening.